You’re leading the ASBK championship by nearly 30 points at half distance. That must feel good. 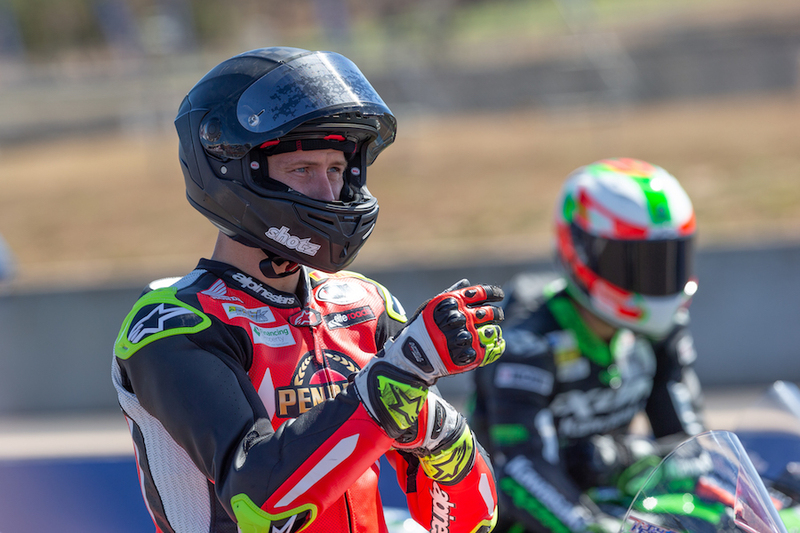 This year is shaping up to be one of the toughest ASBK seasons. I might be leading the championship but one little mistake in any race can have me battling back from 10th or 11th. The depth of competition is so high that even the guy starting 10th on the grid believes he should be on the podium. People like Alex Phillis, Mark Chiodo and Arthur Sissis are starting every race believing they should be in the lead at the first corner. We’ve also had different manufacturers on pole position at each round so that is another consideration. Take us back to the start of the season. The announcement of the new Penrite Honda Racing team came fairly late. A lot had been going on behind the scenes. When Paul Free retired from Honda (he helped Herfoss to back-to-back Superbike titles in 2015-16), he assured me there was a plan in place. I also knew Glyn Griffiths (Honda’s marketing manager) and the guys at Honda were working hard to sort out a team. When I first met Deon Coote (who set up the Penrite Honda Racing factory team), I knew straight away he was 100 per cent into this season. 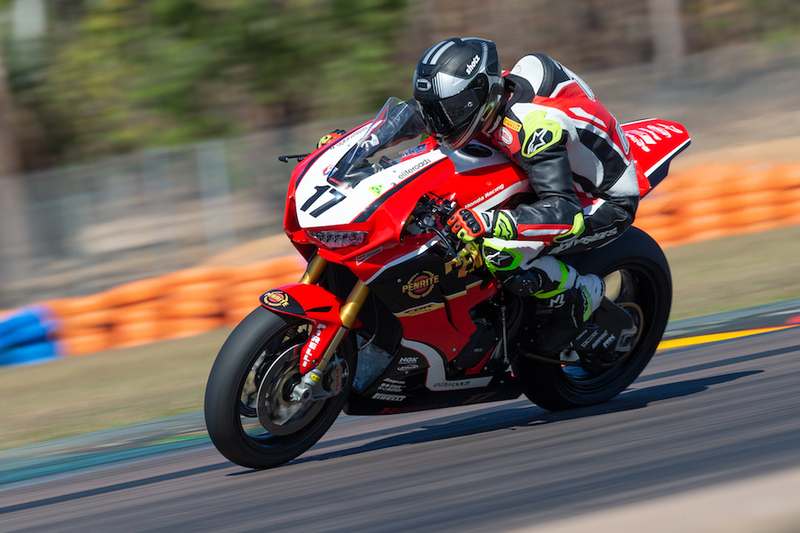 The big thing for me was to bring over Shaun Clarke and Glenn Granger and last year’s bike to start out on while the 2018 Fireblade was being prepared. Give us a quick rundown on the season so far. We had some electronic issues at the first test that followed us into practice and qualifying at the first round (support event to WSBK at Phillip Island). Then the flag dropped and I won the first race. That was unexpected and since then everything’s come good. I came away from Wakefield Park leading the championship after qualifying on pole position and getting a win and a second place. Then at The Bend in South Australia I got a third and two wins (Herfoss also set the first lap record for this newly constructed circuit). Up at Hidden Valley in Darwin, I took a win and second placing. Do you have a favourite racetrack? I don’t have any track I like or dislike. I judge them on how suitable they are for the Honda. For example, I was down on top speed at Phillip Island but the handling of the Honda worked well at Wakefield Park. Any challenges sorting out the new Honda Fireblade? The big issue we’ve had is tuning the ECU. Justin Woolich, who I reckon is one of the best in the business on ECUs, has helped sort our electronics. I’ve also struggled a bit using launch control for the first time. Launch control isn’t something you practice during testing. What about that duel for the last corner in the opening race at Hidden Valley? The competition is tough and each meeting a different rider is challenging. In the first race in Darwin I felt I could have finished that move on Troy Bayliss (Ducati) to win, but then I reminded myself he’s way behind me on the points table. So I’ll keep that trick up my sleeve in case I need it later in the season. The most important thing for me is to win the Australian Superbike title this year. It’s been hard work every weekend. You just have to knuckle down.